As a crafter, people are always surprised when you don't get all crazy craft lady when a holiday rolls around. I forget to decorate for St. Patrick's day and it's the third of July before I remember to change out my front door wreath. It might have something to do with the other non-holiday crafts that we prioritize that by the time Valentine's day candy shows up at the grocery store, the energy is gone. 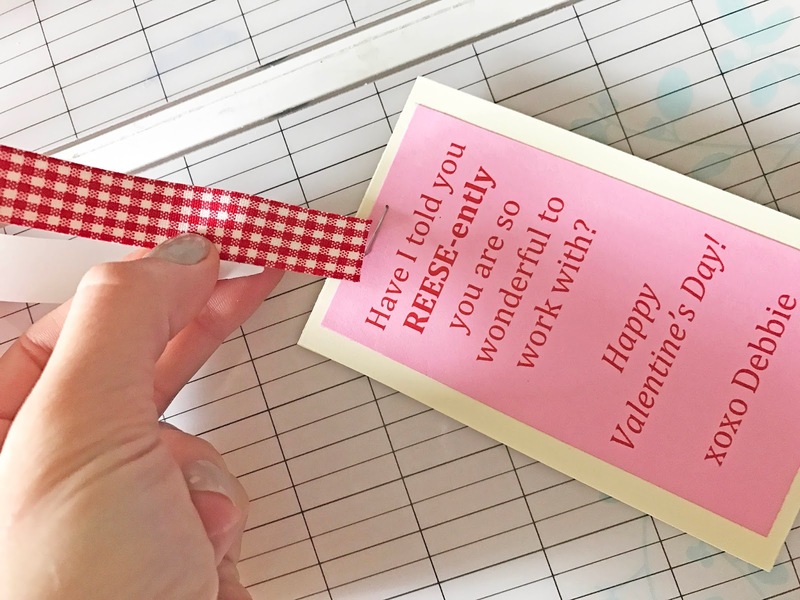 Let's start with Valentine's day and focus on my coworkers. I created something cheesy and super easy (read: inexpensive), and did it all in less than 2 hours. I found the below statement (enter cheesy) and created a Word document template to cut and glue on cardstock (enter easy). 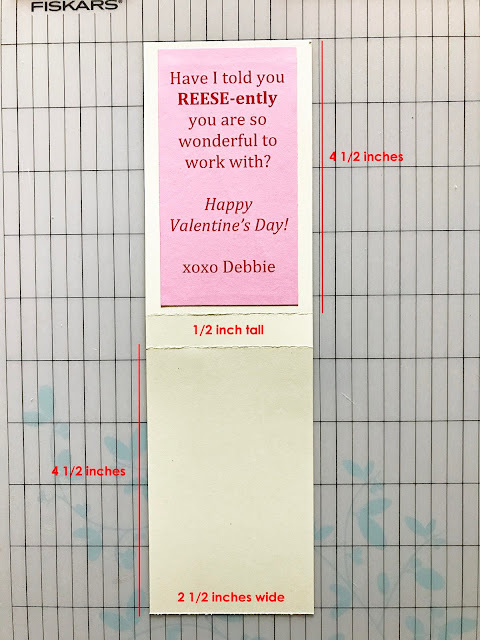 With leftover cardstock scraps (enter inexpensive) and one bag of REESE'S Valentine's Exchange Peanut Butter Conversation Cups, 14.8 Ounce (in single medium packaging), I developed the below template at 9 1/2" tall and 2 1/2" wide. My template creates 10 tags that can be glued on the cardstock. 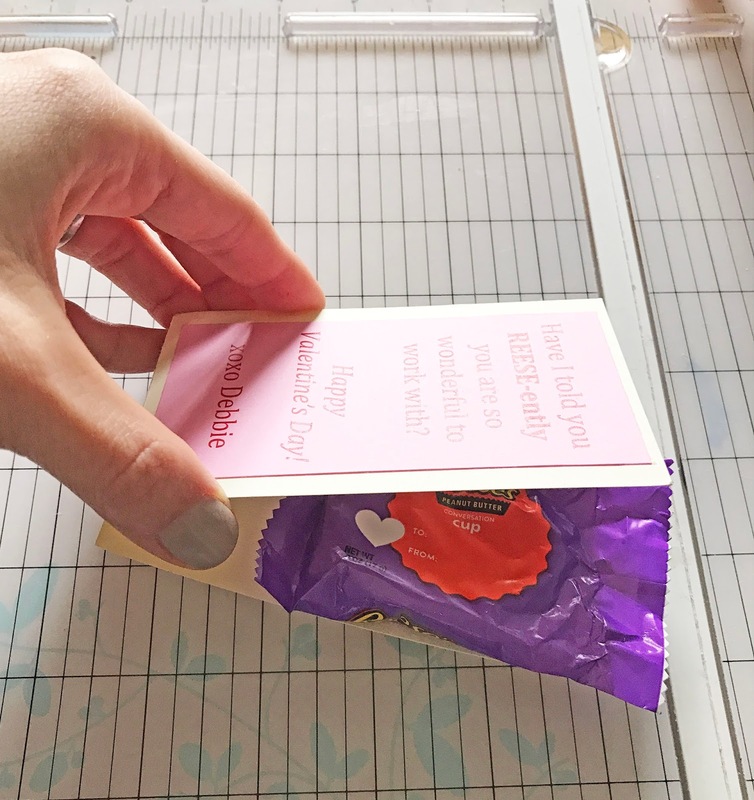 Simply fold the cardstock in the two locations that you see above, and place the Reese's peanut butter cup in the center. Align the top of the two sides of the cardstock and place the peanut butter cup in the center, and staple to connect your cute little package together. 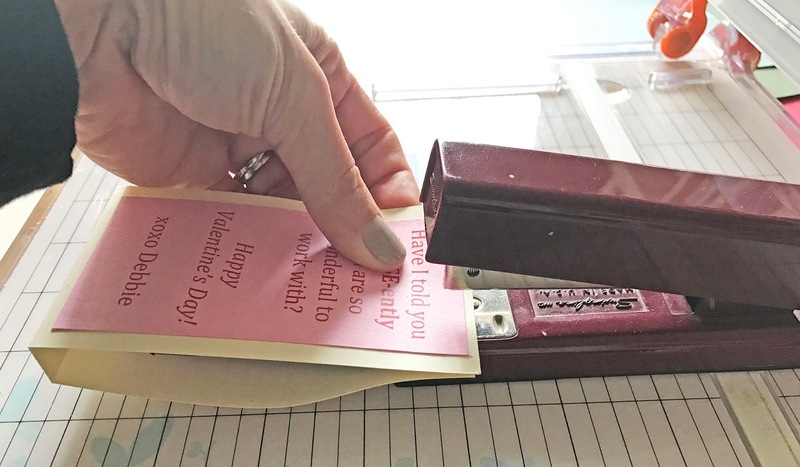 The staple is kind of ugly; cover it up with washi tape (I know you have like 5 rolls hanging around) or some other sticker. Sweet little Valentine's Day treats for my coworkers! 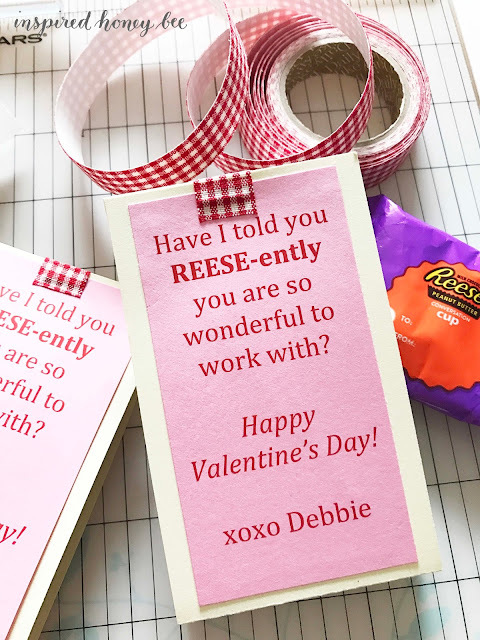 Making these Valentine's treats and small cards to send my besties around the country was my goal this week. Downtime while watching the Super Bowl was key to getting this done, but I searched Pinterest during the week looking for cute sayings (Reese-ently is adorable, admit it!). I'll finish off the game writing sweet love notes to my friends and have these in the mail this week. Need other Valentine's day inspiration? Check out my Pinterest board dedicated to Valentine's day decoration, gifts and free templates!